Are you sure your software is running smoothly? so you can focus on making your customers happy. 70% of SaaS founders indicated to us that they are unsure about the effectiveness of their monitoring. In order to get some degree of monitoring coverage, you'll have to use multiple tools. This is a hell to setup, annoying since you need to switch between several products which are also expensive when combined. Do you just monitor the uptime of your website? Should you do something with Browser testing? Or API monitoring? It can be difficult to make sure you catch all errors and downtime on your systems. Bolstat is your all-in-one solution! 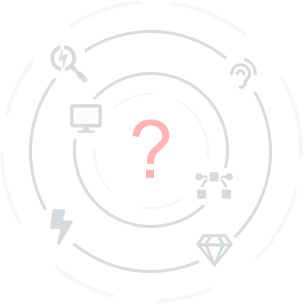 With Bolstat you have one toolset with features that monitor every aspect of your software product. 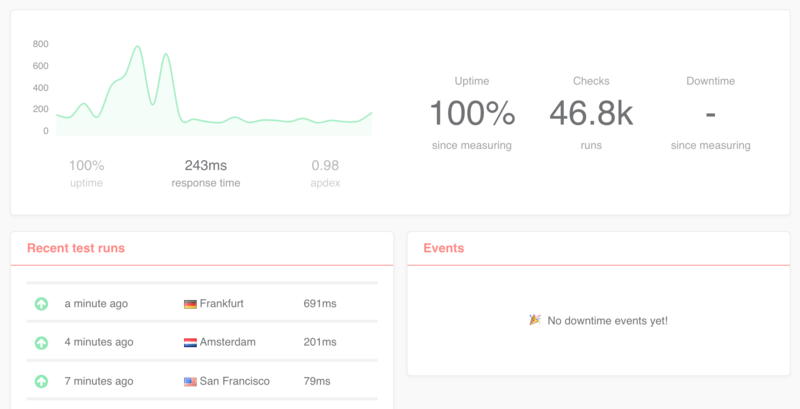 Monitor the uptime of your websites. Check API's and other complex pages. Validate website & user flows in real browsers. Monitor the servers within your infrastructure. Check SSL certificates for expiry and changes. Coming soon. Make sure background processes still run. Coming soon. 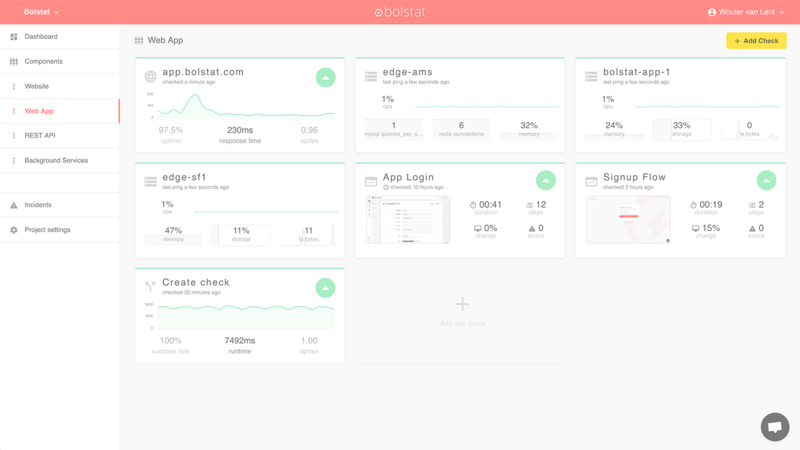 Bolstat gives you insights in your full instrastructure in one nice overview. See where any problems are occuring and dig into them. When something unexpected happens, it is important that the right person knows as fast as possible. 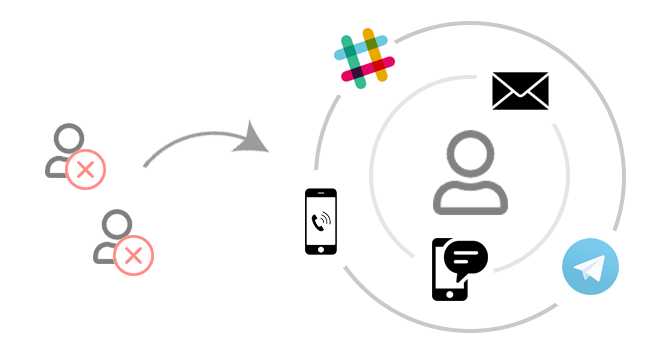 Bolstat allows you to define on-call schedules and has all possible notifications methods you would wish for. Ready to give yourself more peace of mind? Start monitoring your SaaS with Bolstat today!